Jessica Shirvington’s Between the Lives is the best book I’ve read so far this year. ‘Wow’ is the first word that springs to mind to describe it. For as long as she can remember, Sabine has lived two lives. Every 24 hours she shifts to her ‘other’ life – a life where she is exactly the same, but absolutely everything else is different: different family, different friends, different social expectations. In one life, she’s a straight-A student with the perfect boyfriend; in the other she’s considered a reckless delinquent. Nothing about her situation has ever changed, until the day when she discovers a glitch: the arm she breaks in one life is fine in the other. This book is incredible. I stayed up until the early hours of the morning to finish reading Between the Lives, which is extremely rare for me as I’m one of those sleep-worshipping people (and it wasn’t even the weekend). If I could only say one thing about Between the Lives it would be: “You need to read this book.” It’s by far my favourite book of the year, and it has firmly found a place near the top of my ultimate favourite books ever list (which, in case you’re wondering where to find this amazing list, currently only exists in my head). Between the Lives combines a bit of supernatural and fantasy with romance (oh, the romance <3) and coming of age. It addresses important matters including mental health and domestic violence, but doesn’t push too hard to make these themes overly dominant. They’ve all been dealt out in ideal measures to blend perfectly into this incredible novel that’ll have you biting your nails and furiously turning the pages while your heart is feeling pretty much every emotion possible. Sabine is a tricky character to get to know, as in each life she takes on a very different personality, yet somehow Jessica Shirvington has managed to help the reader fully understand Sabine and her very unusual life. She’s a stunningly written character that I grew to love and truly feel for. I enjoyed the two different family dynamics Sabine has. In one life, she has a younger sister that she simply adores, but parents who aren’t there for her as much as they should be. In the other life, Sabine has older brothers (I particularly loved the character of Ryan, and not just because he has the same name as my boyfriend) and a single mother. Sabine’s friends are intriguing, too. She seems to have a better social life in the life that includes her brothers. She’s got a big group of friends there and a boyfriend, too. But actually, it’s the one great friend she has in her other life that really gets her and is there for her no matter what. And we haven’t even started talking about Ethan yet. The romance Jessica Shirvington brings us between Ethan and Sabine is just beautiful. I find it amazing that, despite the fact that the reader only spends half of the book with each set of characters in their respective version of Sabine’s life, we still get to know them all as individuals rather well, even the supporting characters. I haven’t stopped thinking about Between the Lives since I finished it. Even the ending satisfied me, which isn’t the case with many, many books I read. I’d recommend this book to everyone. It’s just divine. Jessica Shirvington deserves huge praise for this one, and I really hope she gets it. Also, how amazing would this book be as a movie!? I’m keeping my fingers crossed. 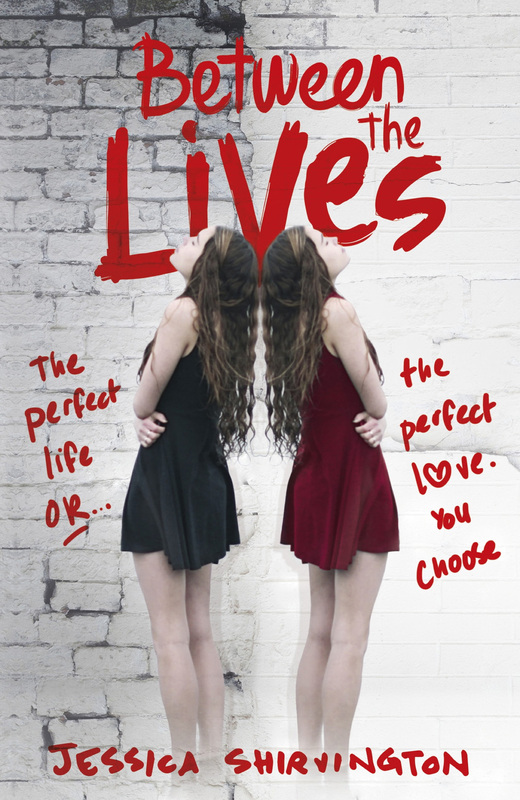 Have you read Between the Lives yet? I’d love to know your thoughts.